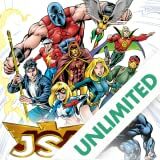 From #1 New York Times best-selling writer Geoff Johns! 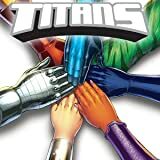 For years, Titans Tower has been a haven for young heroes, and has offered them a chance to train alongside their peers and to distinguish themselves from the mentors they will one day replace. 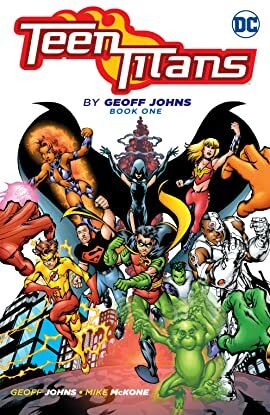 After years of dormancy, original Titans Cyborg, Beast Boy, Raven and Starfire aim to recreate that same premise for a new generation of heroes. Their first recruits? 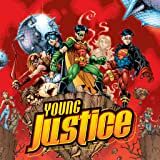 The greatest super-powered adolescents around: Robin, Superboy, Kid Flash and Wonder Girl! 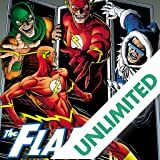 Geoff Johns--the writer behind some of DC’s greatest titles, including DC UNIVERSE: REBIRTH and INFINITE CRISIS--takes hold of the classic TEEN TITANS franchise in this epic run that helped launch him into comics superstardom alongside artist Mike McKone (JUSTICE LEAGUE UNITED). 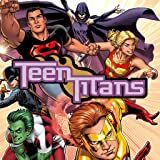 Collects TEEN TITANS/OUTSIDERS SECRET FILES 2003, TEEN TITANS #1-12 and TEEN TITANS #1/2.